Brutalism, also known as Brutalist architecture, emerged in the ‘50s as an offshoot of the early 20th century modernist movement. The concept behind the Brutalist style was to make buildings visually complex through minimal design and repetition, featuring vertical components, over-scaled proportions, unfinished surfaces, and small windows. It was most commonly used for governmental projects, university buildings, shopping centers, and high-rises; however, there also exist many residential examples. A prominent style throughout the ‘70s, the movement began to decline in the early ‘80s, eventually deemed as austere and unwelcoming. Here in Boulder, as Brutalism gained notoriety throughout architectural circles in the ‘60s and ‘70s, our more progressive architects incorporated the style into their portfolios. Three of Boulder’s most (in)famous Brutalist buildings are the University of Colorado’s Williams Village towers, the National Center for Atmospheric Research (NCAR), and downtown’s West End Plaza. To the west, perched on Boulder’s undulating hillsides, is NCAR. This design truly deserves the moniker, “Boulder Brutalism”, as the poured-concrete exterior towers are tinted with native red sandstone to blend with the dramatic Flatirons backdrop. Architect I. M. Pei refers to the NCAR complex as his "breakout building.” To boot, its iconic stature has been cemented (no pun intended) by its inclusion in the movies Sleeper and The Arrival, as well as being featured prominently in the video game Horizon Zero Dawn. The West End Plaza, originally known as the Edwards Center upon its completion in 1981, rarely receives praise. Built on the site of the Arnett Hotel, West End Plaza garnered criticism from its inception, being called a “red brick tank”, "the fortress”, "a child's garden of basic errors”, and “a pregnant whale”. Consequently, its Brutalist styling has been softened over the years, with larger windows eventually installed on the second and third levels. Other Boulder buildings were also inspired by the Brutalist style. The Masonic Lodge (now the Museum of Boulder) has all the trappings of Brutalism. When the Museum moved in, the basic design didn’t change much, but like the West End Plaza, a few minor exterior adjustments were made to give the building a more welcoming appearance. But Brutalism has not met its brutal demise just yet. In fact, there’s been a recent revival of interest in Brutalist buildings; historical societies petition regularly for their survival, architectural historians celebrate their design origins, and the general public has developed a fondness for their strong, imposing nature. It’s no secret that architectural styles come and go at a breakneck pace; one decade’s treasure can be the next decade’s monstrosity. Luckily, within the architectural world, there are often younger counter-culture movements who learn to appreciate and protect what’s commonly considered passé. Whether ironic or sincere, these laudations are welcome and appreciated. I’ll set the scene: imagine you’re meeting a friend for coffee at the corner of 2nd Avenue and 1st Street. Wait…or was it 1st Avenue and 2nd Street? Confusion, commence: as big city as it sounds, numerical street names can be complicated (and frankly, just plain boring). In 1952, with Boulder rapidly growing, City Council stepped in to stop the numerical madness, bringing more nature and less confusion to our street monikers. Boulder’s original street-naming convention began in 1891 with the platting of the Newlands subdivision. Avenues ran east and west, starting with 1st Avenue and increasing numerically to the north to 6th Avenue. Streets ran north and south, beginning with 3rd Street, nearest to the Foothills. But overlapping avenue and street names became confusing as the Newlands subdivision grew and North Boulder developed. A change was gonna come (name that artist) and public meetings were held to solve the problem. 1. Names had to be easy to spell and pronounce. 2. They had to be distinctly different from existing street names. 3. Names needed to have the same meaning to all people, all the time—then and now. 4. Names had to be appealing to residents and be "characteristic of a beautiful Boulder." Naming nomenclature heated up even more when Weber protested that City Council “bypassed the democratic process” by adopting street names for the letters M through W without discussion. Council explained that those streets had yet to be developed, and residents could request different names once they were constructed. After plenty of hemming, hawing, and riotous debating, the new names were finally adopted by Boulder City Council in 1953. As North Boulder’s development continued, some avenues intersected Broadway, while others were only on the east or west side. This meant there were more named avenues than previously numbered ones. Drumroll, please: the winning names were Alpine, Balsam, Cedar, Dellwood, Elder, Evergreen, Forest, Grape, Hawthorn, Iris, Juniper, Kalmia and Linden, in place of the previous 1st through 10th Avenues. These were followed by Meadow, Norwood, Oak, Poplar, Quince, Riverside, Sumac, Tamarack, Upland, Vine, and Woodland. Because questions remained about the proposed names for the last three letters of the alphabet—Xenia, Yosemite, and Zinnia—and because the city wouldn’t extend that far for many years, the designations stopped at Woodland. Today, the alphabet goes as far as V, although it’s Violet—not Vine—that crosses Broadway. North of Violet, there’s a Y at Yarmouth—again, different from the recommended Yosemite, but a Y nonetheless. Here’s hoping that modern-day decision makers are reading this and we can finish what we started over 65 years ago. We only need a W, X, and Z to complete Boulder’s avenue alphabet. Come on, Boulder, we can do this! Understatement of the year: there’s a lot going on in the news right now. With all that’s happening—both on a national and a local level—it can be hard to keep up. Several controversial issues in Boulder real estate, including Opportunity Zones, housing restrictions, and ground-floor retail, have recently taken center stage. Today, I’m here to give you a just-the-facts-ma’am recap of these hot Boulder topics. (Don’t worry, no opinions here; I’ll leave those for the Daily Camera’s Sunday Insight section). Before diving in, let’s answer the basic question, “What’s an Opportunity Zone?” An Opportunity Zone (or OZ, if you’re in the know) is a tax incentive program for real estate investors to defer, reduce, or potentially eliminate certain federal gains taxes by investing in low-income or rural Colorado communities. OZ’s were added to Colorado’s tax code by the tax reform package in December 2017. Earlier this year, Governor Hickenlooper nominated an area of Boulder as an OZ. Totaling 2.5 square miles, Boulder’s OZ stretches from 28th Street to 55th Street, and from Iris to Arapahoe. Included within the area are the 29th Street Marketplace, Google’s new office buildings, and Boulder Junction. On a national level, Boulder’s controversy arises from critics claiming there’s a lack of accountability, as the provision doesn’t require the development’s progress to be tracked (“scout’s honor” is typically not good public policy). Additionally, many have noted that several of the zones are neither distressed nor low-income neighborhoods, but rather gentrifying areas where a tax incentive isn’t necessary to spur development that’s already underway. On a local level, proponents contend that an OZ will allow less expensive projects to move forward, increasing housing and retaining businesses. Opponents are wary of adding to Boulder’s already burgeoning population. While supportive of affordable housing, opponents warn that more commercial space will ultimately lead to more in-commuters. This topic is so controversial, it even drew the attention of the city’s legendary Ruth Wright, “Mother of Boulder’s Greenbelt,” with a Letter to the Editor. After a lengthy late-night discussion on December 18, City Council voted 6 to 3 to temporarily ban development of office space and demolition of apartment buildings in a broad eastern swath of the OZ through June 22, 2020. In October 2018, City Council scheduled an emergency vote on an ordinance that would temporarily suspend new building permits for homes larger than 3,500 square feet on lots 10,000 square feet or larger. The concern was raised by a 2016 Daily Camera article that highlighted the proliferation of large homes in low-density Boulder neighborhoods. Many citizens are concerned that Boulder’s charm is being diminished by new houses that are out of scale with existing homes in these neighborhoods. Those on the other side of the fence (see what I did there?) feel that the existing compatible development regulations already do a sufficient job of maintaining neighborhood character. After pushback claiming a lack of public process, the City Council’s moratorium was abandoned. Earlier this month, staff brought back the option, along with additional ways to handle large homes over the long term. As Council works through the issue, look for this to be an ongoing debate. The development of two high-end residential projects on East Pearl has forced out five small businesses, including Snarf's Sandwiches and Jet's Espressoria, sparking concerns over the displacement of more small businesses. In quick order, City Council passed an ordinance requiring ground-floor retail, at least 25-feet deep, on parcels that front Pearl Street between 18th and Folsom Streets. Soon afterward, rumors of the Base-Mar Shopping Center morphing into student housing had Council exploring a similar restriction for a broader swath of shopping districts. The ordinance, which amends the land use code and limits ground-floor uses in certain commercial zoning districts to "neighborhood-serving" retail or restaurants, was advanced to a third January 15 reading. Whether it’s creating Opportunity Zones, restricting the size of new residential construction, or preserving small businesses, one thing’s for sure: Boulder’s real estate market has been—and will continue to be—booming. Ghosts, goblins, and those super-cringy Guy Fieri costumes: the spookiness of Halloween isn’t just for kids. It’s also a fright-filled time of year for those who are looking to buy or sell their home. Historically, October is a scary time for real estate. As we settle into fall, buyers move into full-on hibernation mode: coffee shops become more crowded, it’s getting real in the Whole Foods parking lot, and Pearl Street is bustling with early onset holiday shoppers. Instead of looky-loos bopping around to all the Sunday open houses, it’s the season of weekend ski trips, home-cooked meals, and couch-bound Netflix binges. But that’s not to say that real estate agents close up shop when the cooler months arrive; there’s still plenty of work to be done. Clients still ask for advice, For Sale signs are still hammered into yards, and Zillow continues to post new listings. The game goes on but the tactics change. Below, you’ll find a few insider tricks—as well as a few treats—for buyers and sellers in the off-season. Spend more time on pre-showing prep. If there are piles of leaves or a few inches of snow on the ground, be sure to clear the walkway to your home thoroughly. First impressions mean everything, and trudging through snow just to get to the door is a rough start that’s hard to overcome. Floor protector booties in the entryway are a nice offering. When it’s 30 degrees outside, most buyers won’t be sporting slip-ons. It’s much easier to pull on some protective booties than to remove those tightly laced Sorels. A cold house gets the cold shoulder. Always keep the thermostat at a comfortable temperature. Sounds and smells are important. Background music is always a plus (keep it neutral and seasonal; Sinatra trumps Metallica). And the old trick of baking cookies is still apropos today. Inventory may appear low, but don’t let current listings be your only guiding light. Sellers will often remove their listings through the winter, so have your agent search expired or withdrawn listings. If your agent reaches out to the listing agent, a showing can often be arranged. In the slower season, sellers tend to be motivated. While you still may not get the bargain of the century, you’ll often find that homeowners are willing to negotiate a little more during this time of year. Buyers in the off-season are typically more motivated than the high-season looky-loos who are merely curious about upsizing or downsizing. Off-season buyers are often pre-approved and ready to go. Treat each showing as if each potential buyer is the buyer! While your home search may not be as fast-paced or well-inventoried as in the high season, there will be less folks looking. This off-season lull gives you a chance to see a house, go home, think it over, and make a decision without too much fear of cutthroat competition between half a dozen other buyers. After the high-stakes high season, Boulder’s real estate market is set to quiet down for the next few months. Whether you’re putting your home on the market or you’re in the market for a new home, don’t see the changing season as an obstacle; see it as an opportunity. It’s no secret that in Boulder’s red-hot real estate market, supply and demand has been one of the hardest-fought battles for eager buyers who are confronted with a short (and expensive!) supply of houses. But lately, what we brokers are witnessing is a new trend: the supply and demand problem is becoming overshadowed by a trio of troublemakers: increasing prices, flat-lined income, and rising mortgage rates. For the past six years, the market in Boulder and the surrounding L-towns has been riding a real estate rocket that’s on a stratospheric trajectory. Boulder’s market has consistently experienced double-digit gains while Louisville, Longmont, and Lafayette have all witnessed their fair share of exponential growth, as well. But if you’re one of the Smuggy McHotshots who regularly checks Zillow to see how much your local Zestimate’s gone up, I may have some bad news for you. While the supply and demand issue can theoretically last for decades, this economic paradigm has its limits in the real estate world. Yes, it’s true: in 2018, we’ve watched the local real estate inventory bottom out at historically low numbers. Meanwhile, the average sale price for a home in Boulder has rocketed into the stratosphere. The average home cost? $1,250,000. Nope, that’s not a typo—and that level of value puts our market in orbit right next to the Space Station. I can hear you now: “Fine, demand is sky-high and so are prices. What’s the problem, here?” Well, in a word: income. Wage growth in Boulder County isn’t matching the exponential growth of real estate prices. Sure, Boulder offers plenty of good-paying jobs, but when a buyer takes a sobering look at what an $800,000 Martin Acres ranch will do to their monthly paycheck, the joy of homeownership wanes. No one wants to be house poor—and coupled with the current uptick in mortgage rates, that $2,500 per month apartment with amenities looks better and better (and you wouldn’t have to sacrifice that daily latte). Now before you pack up and run for the suburbs, let me be clear: the current real estate market isn’t about to teeter into recession territory. What I’m simply offering is that the bubble can’t get much bigger than it already is. And at our market’s lower end, there’s still plenty of wiggle room, with local wages and home prices below $700,000 still matching up decently. The thing is, high-end buyers aren’t struggling with the income issue; their decisions are based on worldwide economic trends (which is a different discussion altogether). It’s the middle class who’s feeling the squeeze right now, and they’re a large part of our population. As we enter 2018’s Q4 with a red-hot real estate market, predictions for 2019 look more approachable (read: sane). Gazing into my crystal ball, I see a more balanced market for next year, even if inventory continues to be low. Architect Tician Papachristou passed away on June 18, 2018 in Sheffield, Massachusetts at the age of 90. Boulder’s architecture scene regards Papachristou with enormous fondness and respect, and considers him as “the one who got away.” Before moving to New York in 1965 to work with legendary architect Marcel Breuer, Papachristou practiced architecture in Boulder, where he led the charge in facilitating pivotal change to its architectural landscape. Papachristou arrived on the Boulder scene in 1954, when the city was small and bustling with a creative, sophisticated, and experimental population. Led largely by university faculty, this group of progressive Boulderites was naturally drawn to modern and avant-garde design. Papachristou wasted no time in joining the fray and making his mark in Boulder. By the time he was 30, he’d designed over a dozen residential homes. 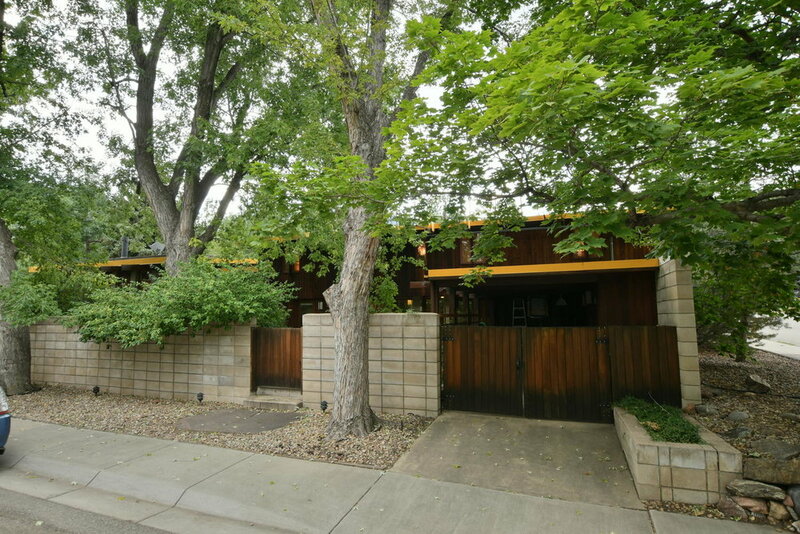 Some of his most notable Boulder structures are the Sampson-Wood House on King Avenue (1958), the paired Jesser and Sirotkin Houses in the Flagstaff neighborhood (1960), and the Thomas II House in Pine Brook Hills (1966). Last year, the Sampson-Wood House, landmarked in 2016 by then-owner Bill Wood, was put on the market for the first time in 40 years. A bidding war ensued and the property eventually sold for $225,000 over the list price, a testimony to Papachristou’s enduring architectural legacy. The new owners of the Sampson-Wood House reached out to Papachristou, hoping to learn as much as possible about the architecture and his thoughts on updates they were considering. He happily shared his love for the home, noting that it was one of his favorite designs. Inquiring if the bold yellow paint was the original choice, he confirmed it was—and even offered to assist them with choosing a new color. Self-taught San Diego architect Cliff May is often credited with inventing the ranch-style home in the 1930s—a well-deserved acknowledgement, as it was his design that introduced the ranch to the U.S. masses. So just how did the single-story sensation come to be? We’ll lay the foundation for you. May’s breezy builder philosophy caught on—and fast. Following World War II, ranch-style design skyrocketed during the suburban boom, especially in the U.S.’s western states. By the ‘50s, nine out of every ten houses dotting the American landscape were ranch houses. It was the perfect compromise of design—not overly experimental, not gimmicky, but a pleasant, unobjectionable, and practical structure. This ranch trend continued into the late ‘70s and early ‘80s, when ranches received a ten percent value over comparable two-story homes. But as with most trends, the ranch eventually receded in popularity, dipping out of fashion by the late ‘80s. By the early ‘90s, the style lived in the shadows of its more charming, design-forward peers like the cottage and Craftsman, being perceived as a boring, bottom-rung alternative. But the ranch’s lame label didn’t last long; by the late ‘90s, the ranch began experiencing a resurgence. The resurgence of the ranch-style home is multi-faceted, with affordability at the top of the list. With most new construction boasting two stories and burgeoning square footage, the prudent and price-friendly ranch home is relatively affordable in the grand scheme of the real estate market. Not only is the square footage often on the smaller side, but the one-story layout of the ranch home makes it the perfect pick for aging baby boomers who want to avoid stairs, as well as growing families with babies and toddlers. And for the eco-minded, owning a smaller one-story home shrinks your carbon footprint, especially compared to the sprawling McMansions of the early ‘00s. Boulder builders have recently recognized this market shift, as more and more spec ranch homes find their way into the mix. Not to be outdone, new developments are including ranch models in their selections. And when homeowners remodel, they're often increasing square footage by building out instead of building up. Ultimately, today’s ranch homebuyers settle on the style because of what it symbolizes: laid-back living. Seamlessly integrating indoor and outdoor spaces, ranch-style homes often have expansive windows; these nearly unparalleled views of nature foster a sense of harmony with the elements. Typically situated on spacious lots and oriented to take advantage of large backyards, the ranch home begs to be lived in and around. And it’s becoming a timeless style that will endure the trendier architectural movements for years to come, continually improving with modern architecture while holding onto its traditional, breezy, SoCal charm. It’s no secret that the City of Boulder has always appreciated the value of green. (I’ll pause while you insert your favorite pot joke here.) And that’s not the only green that comes to mind—with Boulder’s home values increasing at a historic pace, the other green that’s a hot topic in Boulder is money. But let me be clear: the green I’m referring to is the natural world, and Mother Nature’s beautiful gifts that surround our city. Boulder’s appreciation of nature has been a longstanding one. Just after the turn of the 20th century, in 1908, Boulder residents hired Frederick Law Olmsted Jr., a renowned landscape architect and son of the legendary designer of New York’s Central Park. Olmstead’s task was to consult with our city on how best to plan it, even though Boulder was at the time a small town of just 10,000 residents. Among Olmstead’s planning recommendations: burying wires underground and keeping the height of streetlights below tree level. As development and industrialization tend to do, word spread about Boulder’s natural beauty and its allure, and businesses began setting up shop. Because of this growth, the population increased accordingly. It was at this juncture where Boulder could have stoked the growth, encouraging developers to build new housing and commercial spaces at a breakneck pace. However, in true Boulder style, the city chose a different direction, and continued its preservationist trend over the following decades. In order to protect the beauty of our beloved Flatirons, the city drew a (blue) line across the surrounding mountains in 1959, above which no sewer or water services would be provided. In 1967, a 0.4 percent sales tax was introduced, allowing for the establishment of a fund to purchase open space around the city, which stonewalled developers, obstructed major roadways, and most importantly, preserved the natural beauty. Not long after, new housing initiatives were limited to just two percent per year. These days, Boulder County manages more than 104,000 acres of scenic, protected open space. While Boulder has a reputation for being a cultural bubble, at least it’s a bucolic one, with the towering Rocky Mountains to the west and the rolling plains to the east. This celebration of nature has trickled down to how Boulder’s residents design their own homes, adding extra value by honoring Mother Nature. With Boulder’s 300 days of sunshine, outdoor spaces can be a usable and valuable asset. Small homes can take advantage of decks, patios, and yards as places for refuge and relaxation, all the while adding value to their home. Compared to the cost of popping the top or adding rooms, homeowners may find that similar results can be achieved for much less by rethinking outdoor spaces. Consider breaking up larger spaces into smaller areas, like decks with a grilling area, a cozy fire pit space, a water feature to attract birds, or separate dining area with a curtained pergola. Think consistency between your home’s architecture and your outdoor spaces, and don’t overlook the value of great landscaping. Sure, it’s not often considered by appraisers, but buyers are almost always emotionally drawn to inviting outdoor spaces. From our city’s protective reverence for Mother Nature to your own backyard oasis, honoring the beauty of Boulder’s incredible landscape is an integral part of living here. 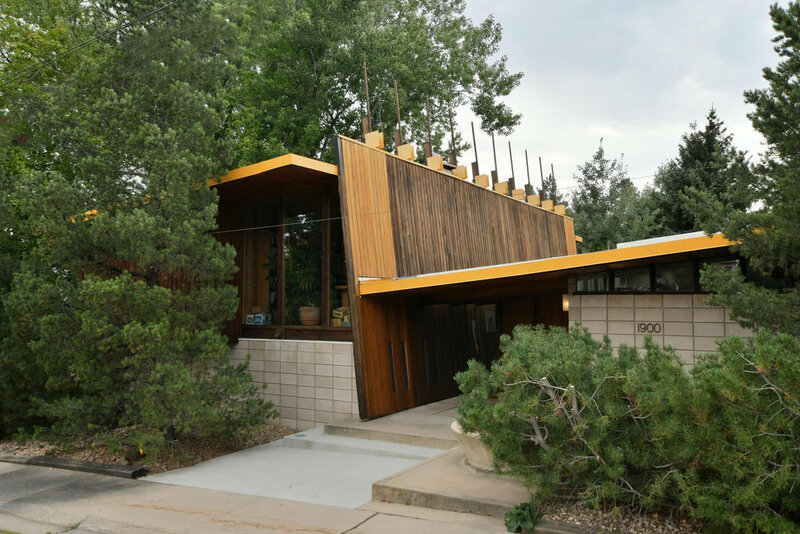 Much has been written about architect Charles Haertling and his modernist designs on display throughout Boulder’s rocky landscape. But where did he come up with these unique shapes? Undoubtedly, the breadth of his work shows influence from the works of Frank Lloyd Wright and Bruce Goff but a closer look reveals that nature may have been his true inspiration. Throughout his storied career, Haertling utilized organic shapes to blend his designs into Boulder’s topography; he even called Boulder his “gallery.” The four homes below highlight how successful Haertling was in capturing the natural beauty of the yucca plant, barnacles, rock out-croppings and the aspen leaf. Located in Gold Hill, the building site for this home sits on the last ridge before the Continental Divide, near the third windiest spot in the world. Because of its precarious location, Haertling’s design had to take advantage of the jaw-dropping views while resisting the relentless wind. The result? A curved structural shell-like shape resembling a yucca plant with no overhangs to catch the winds. Repetitive pods placed around the center shape capture the stellar views of the Continental Divide. Known by locals as the “Mushroom House,” the structure was inspired by Haertling’s Navy years, when he spent much of his time chipping barnacles from ships' hulls. The homesite in Wonderland Hill rests above Maxwell Lake and offers views of the mountains to the west and the plains to the east. To capture these views, the home was structured with five pods across the main level, giving it the bulbous mushroom look. The house has received its fair share of press and cameo appearances, with multiple features in architectural magazines and even a brief scene in Woody Allen’s 1973 film, Sleeper. Of Heartling’s designs, the Menkick House is the one that most resembles the work of Frank Lloyd Wright, specifically his famed Fallingwater. When most architects may have steered clear of a large rock out-cropping, Haertling embraced it, utilizing its craggy texture as an integral design feature. The horizontal flat roof allows the natural beauty of the stone to take center stage. Using materials such as aggregate concrete and wood allows for the structure to harmoniously coexist with its environment. Surfaces of stone and wood move seamlessly from the outdoors in, but practicality counseled against integrating the actual out-croppings into the interior. However, a master bedroom balcony incorporates the natural rock, which is backlit by the morning sun. Inspired by the pointed silhouette of an aspen leaf, Haertling wanted this house to be a "large space, with protruding balconies.” After receiving a flash of inspiration from nature and drafting the initial sketches, his clients agreed that the aspen leaf design was “almost perfect.” The roofline, reminiscent of an aspen leaf’s point, reaches skyward, offering the main level incredible views of the plains below. (Denver, 40 miles away, is clearly visible.) The interior of the home is equally stunning. Even though the home is nearly 40 years old, the floor plan is remarkably current with its open concept and floor-to-ceiling windows, allowing the unparalleled views to be enjoyed at every turn. The “Aspen Leaf” house is currently on the market (listed by Colorado Landmark) and worth seeing if you’re in the market for a Charles Haertling classic. A pillar of the mid-century modern style, Googie was a futurist architectural movement inspired by the Space Age and Atomic Age, which were popular in American culture shortly after World War II. Featuring upswept roofs, curvaceous shapes and a bold use of modernist materials (think glass and steel), Googie made its first splash in Southern California in the late 1940s and was initially popular with commercial designs, like gas stations, coffee houses and motels. Named after the nickname of a Hollywood coffee shop owner, Googie-themed architecture eventually made its way into the residential world, gracing SoCal’s neighborhoods with undulating rooflines and illuminating floor-to-ceiling windows. Googie eventually headed east, and its journey from the West Coast to the Rocky Mountains can be partially attributed to Boulder’s mid-century tech boom. The likes of NCAR, NIST and IBM welcomed a new wave of residents, many of whom had a penchant for this new and distinctive SoCal style. Along with the progressive CU faculty, this modernist surge in Boulder County provided a burst of architectural creativity. Boulder’s early modern architects answered the call with commercial and residential projects that featured the signature characteristics of Googie’s space-age style. Local architects Charles Haertling, James Hunter, Tician Papachristou and Hobart Wagener created eye-catching landmarks that dotted the city’s streets, representative of Boulder’s first wave of techies and a leap forward in its architectural tenor. Commercially, the architects’ contributions are still a part of our daily lives. Wagener’s Ideal Broadway Shops and Community Plaza Shopping Center, with their distinct butterfly and curvilinear roof lines, are an ever-present reminder of the Googie movement in Boulder. Another structure from this era that’s ingrained into Boulder’s day-to-day is our very own Municipal Building. Designed by Hunter in 1952, added to in 1962 and landmarked in 2009, it’s in this modernist structure that our City Council meets each week. Take a walk around the neighborhoods of Martin Acres or Old North Boulder and you’ll see how the influence of this architectural style even trickled down to the mass-produced homes built to house the first wave of Boulder’s techies. In between the standard ranches, notice the original low-slung homes with large eaves and unique window placements, all nods to the custom modern designs of their time. And as always, history repeats itself. With the new wave of techies descending upon Boulder with big-hitters such as Twitter, Microsoft, NetApp, and—wait for it—Google, we’re seeing custom modern architecture taking center stage once again. Call them what you like—hipsters, techies, Googlers—but our new residents are bringing fresh ideas, not only to the world of technology but also to housing trends. Local modernist architectural firms like HMH Architecture, Barrett Studio, Arch 11 and Surround Architecture are exploring innovations that future architects will undoubtedly look back on for inspiration. A current example (whether you find it too tall or not) is Pearl West. This design incorporates Googie’s bold use of geometry, steel and glass and anchors it with more current features like subtle curb appeal and lots of useable outdoor and rooftop space. Another timelessly dramatic design is the Google campus. With one more building still in the works, the existing two buildings exhibit a modern, outdoor-forward vibe that, even with its mass, is appealing. Now that these two buildings are up and running, the bar has been set high for number three. Undoubtedly, the final addition will add to Google’s modern mystique. But the best commercial design comes from the least expected place: the 28th Street McDonald’s. (Hear me out!) No other building in Boulder captures the essence of current modern design so well. The mixture of exterior claddings—a current design trend—is handled expertly and the modest scale is refreshing. An architectural fast-food fun fact: one of the best examples of Googie architecture is the original McDonald’s stand in Downey, California, which has been preserved and landmarked. Whether it’s a ‘50s-era atomic ranch home in Old North Boulder or a sleek new design in one of Boulder’s newer neighborhoods, there’s no doubt that we’re experiencing tech’s many influences in our residential areas. When selling a home, the single most important factor to consider is the sales price. Sure, savvy marketing, bustling open houses, and tireless agent networking are all necessary factors in getting buyers to the table. But in the end, price—and its subsequent negotiation—is what makes or breaks a deal. It’s no secret that properly priced homes spend fewer days on the market than higher-priced homes, which can languish on the market for months. This is why listing agents pore over the comparables, or “comps,” as they’re referred to in the biz. Comps provide the details of previous sales in the neighborhood, giving agents a good starting point for their listing price—but they can also provide an agent with a lot of fretting and hand-wringing. Why? I’m so glad you asked. Let’s dive in. There’s more than one way to arrive at a proper sales price for a home—and one of these ways relies on gut instinct over tried-and-true comps. If your home has a certain X-Factor—for example, if it’s a distinctive piece of architectural art, if it sits smack-dab in the center of a highly desired neighborhood, or if it’s got Flatirons views that can’t be replicated, then out-pricing your home’s comps may be the way to go. Valuable intangibles like architectural pedigree, premium location and unprecedented views allow for sellers to ask a premium price for their one-of-a-kind home. But woah there, Miss Dollar Signs—before you’re jonesing for four figures per square foot, let’s make clear the difference between premium pricing and over-pricing. Premium pricing only works for truly unique homes, like the examples mentioned above. 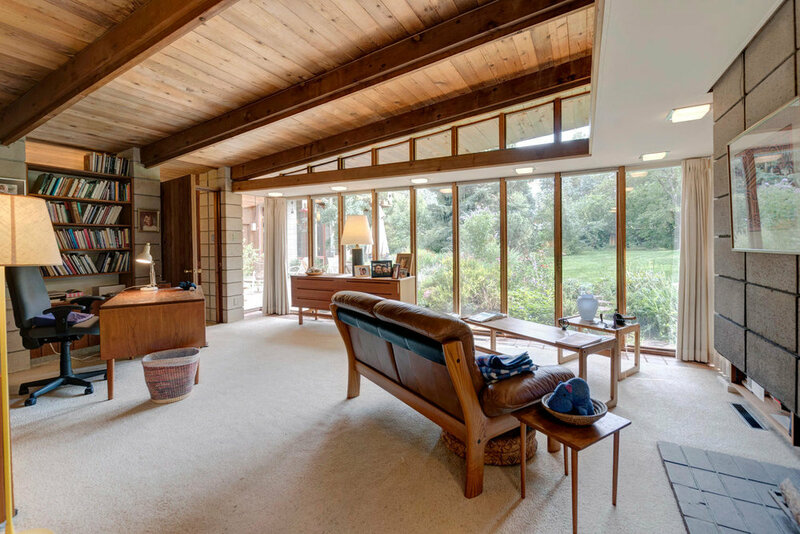 Sure, your aging Martin Acres ranch home with hip CB2 furniture is cute and all, but it’s not a one-of-a-kind midcentury James Hunter. (No offense, Martin Acres.) Over-pricing your average listing a will only devalue your home in the long run—and when determining your sales price, think wisely and think longterm. Indeed, Boulder reached its seven-digit status in quick fashion. In 2013, home prices were averaging around $600,000; by June 2016, that number ballooned to $1,000,000—an impressive increase in a short amount of time. But before we talk about the possibility of such a bubble bursting, let’s first pinpoint the cause of the sharp rise in real estate prices. The first thing that comes to mind is the tried-and-true axiom of “supply equals demand.” Since the adoption of intentional slow-growth policies, Boulder’s housing inventory will forever be limited. In 2013, when prices started jumping by ten-plus percent annually, residents and would-be residents alike wondered, “What’s happening?” What was happening had actually been going on for several years. The impetus of this skyward trajectory found its footing prior to 2013, guided by the business decisions of several local influencers: Kimbal Musk, Brad Feld, and tech giant Google. Meanwhile, a cultural shift at our beloved University of Colorado provided the proverbial lightning in a bottle. In April 2004, Kimbal Musk (brother of Tesla’s Elon) opened The Kitchen Boulder, a community bistro that has consistently been named one of America’s top restaurants. This local empire eventually expanded, adding The Kitchen Upstairs, a swanky cocktail lounge directly above The Kitchen Boulder, as well as The Kitchen Next Door, a casual American eatery, just to the west of the original restaurant. This was the beginning of a world-class row of restaurants on the west end of Pearl Street. The University of Colorado has always had a great influence on Boulder. The renowned university has been the catalyst behind acronym institutions like NIST, NCAR, and even IBM. And CU Boulder’s influence extends beyond scholarly enterprises: in 2011, CU athletics officially joined the Pac-12, ending its affiliation with the Big 12 Conference. Culturally, this switch moved Boulder from the midwest to the west coast. With the combination of these academic and cultural shifts, Musk’s world-class culinary ventures, Feld’s start-up innovations, and Google’s Silicon Valley mentality, it’s clear where Boulder’s increased desirability came from. Now, back to that bubble. A housing bubble is defined as “a temporary condition caused by unjustified speculation in the housing market that leads to a rapid increase in real estate prices.” No doubt, Boulder has seen a rapid increase in real estate prices, but this sampling of influential change-makers (just to name a few) proves that the speculation is far from unjustified. What was once sweeping farmland northeast of Boulder is now a bustling hub for businesses, breweries, and restaurants. Gunbarrel (cheekily named by those in the know as “Funbarrel”) is one of the fastest growing neighborhoods in Boulder County. Named after a historic stagecoach route, Gunbarrel is often thought of as the little town that IBM built—however, the Boulder Country Club was first to lay claim on its rolling, grassy farmland. Nestled in the residential community of Gunbarrel Greens, the Boulder Country Club began construction of its golf course in 1962. The clubhouse, designed by Boulder’s own Hobart Wagener, was finished in 1965. When IBM’s plant was built northeast of Boulder—also in 1965—many executives and employees needed homes close to their new offices. After its initial development boom, Gunbarrel continued to quietly grow over the decades, housing businesses like Celestial Seasonings, Qualcomm, Coviden, Medtronic, and ad agency behemoth Crispin Porter + Bogusky. Deemed a Census Designated Place, Gunbarrel is technically located in unincorporated Boulder County, but shares utilities with the City of Boulder and school systems with neighbors Boulder and Niwot. Alright, enough about its history and civic designations—let’s get down to what exactly makes Gunbarrel “Funbarrel”. For several decades, Gunbarrel’s retail options remained in the sufficient category—there was a grocery store, a few small restaurants, a gas station, a car wash, and a satellite post office. But with Boulder County’s continued housing boom, the offerings in Gunbarrel began to blossom around 2015. Avery Brewing moved its fancy, much-anticipated digs into the neighborhood, a major hotel built its “Boulder North” location (which holds the coveted Gold LEED Certified status), and infill developments began popping up around Gunbarrel’s retail center. In addition to its growing retail and residential offerings, Gunbarrel has become ground zero for some of the area’s most innovative and award-winning microbreweries. While Avery’s flagship location sits at Gunbarrel’s brewery helm, there are plenty of other brewers who are well worth a sit-and-sip session: Finkel & Garf, New Planet, Asher, Vindication, and Gunbarrel Brewing, who recently got a nod from the coveted Sunset Magazine. Nothing says “fun” like an afternoon of neighborhood brewery hopping, right? To top off Gunbarrel’s engaging environs, the neighborhood is still considered a “bargain” for the area. A single family home in Gunbarrel (but with a Boulder address) runs about thirty-three percent less than the same home in Boulder proper. For you number crunchers, the current Gunbarrel sold median is $635,000 versus Boulder’s $950,000. For many, Gunbarrel’s retail offerings, trail systems, quiet neighborhoods, and proximity to bustling Boulder provide the best of both worlds: living close to town without any of the associated headaches. And while some staunch Boulderites may still brush aside the neighborhood as “not Boulder,” the more Gunbarrel’s retail and residential offerings flourish and thrive, those naysayers won’t be brushing much longer. Creating new, high-density neighborhoods; bringing vibrancy back to downtrodden areas; offering new entertainment and dining options for locals: these are just a few of the benefits of strategic, successful infill development. Constructed on vacant lots or under-utilized land, infill developments build high-density residential neighborhoods, creating an energetic, urban environment. With raw land becoming a rarity in Boulder, we’re seeing lots of infill projects these days. These residential projects tend to go quickly, most even being sold before construction is complete. Here are a few opportunities to get in early on new, hip projects popping up around our town. Before these townhouses were constructed, it would have been hard to imagine housing in this location. While the electrical substation is directly in the sightline of Flatiron views, urban dwellers will nonetheless appreciate the easy access to the Goose Creek bike path and its overall central location. The Row’s design combines the look of turn-of-the-century rowhouses with a modern twist. The building is decidedly contemporary but uses classic materials: brick, metal, and barn wood siding. Additionally, the latest energy efficiency building techniques are in place, and residents have the option of installing solar panels and electric car charging outlets. The last remaining unit is still available for $721,700. This is the first installment of market rate homes in the S’PARK community, so named for the parcel’s predecessor, Boulder’s beloved Sutherlands Lumberyard. S’PARK is slated to be a modern village with active greenspaces and cutting-edge sustainability for people to live, work, eat and play. The contemporary, lock-and-leave units should spark the interest of the nearby Google crowd. (See what we did there?) With techies as their target demographic, the builders are keeping it simple—much in the vein of Apple or Tesla—with only two finish choices available. While the buy-in is steep (the homes start in the mid $900Ks), once the S’PARK development is fully built out, buyers will be glad to have been early investors. The estimated completion date is August 2018. Nestled among historic landmarks, The Mark on Pearl intends to create a new vision in the heart of downtown Boulder. The development consists of eight luxury residences built from the ground up on Boulder’s famed Pearl Street. With a statement-making design, these townhouses are sure to be in high demand once they’re officially released (and yes, we’ve got the inside scoop). The project has yet to break ground. With price points hovering in the $1.6M range for 1500+ square feet of downtown living, the homes are a Boulder bargain. Their eastern-edge location shouldn’t deter interested buyers; this cushion protects residents from central Pearl Street’s urban noise and makes access to the 28th Street corridor a breeze. In the 1950s and ‘60s, something extraordinary was happening on Boulder’s architecture scene. In a state usually known for its rustic, timber-frame style, Boulder was "unusually friendly to modern avant-garde design,” according to longtime local architect Tician Papachristou, who moved to Boulder at the height of the movement in 1954. Born in Athens, Greece in 1928, Papachristou earned both his undergraduate and Master of Fine Arts degrees at Princeton University before making his way to Boulder—via Greyhound bus—after landing a job with noted Boulder architect James Hunter. Boulder’s avant-garde design trend was in full swing during the late 1950s. In 1958, CU Boulder professor Edward Sampson, Jr. and his wife, June, hired Papachristou to design their new home at 1900 King Avenue. At the Sampsons’ request, Papachristou designed the house with separate areas for the Sampsons and their four children. “The [Sampson] family is very devoted...but the elder Sampsons wanted an area of their own to relax and pursue their interests. The kitchen and living room functioned as a ‘togetherness room’ for the entire family,” Papachristou explained. Embodying the organic characteristics of Usonian architecture, the home’s exterior was undoubtedly inspired by Frank Lloyd Wright’s 1953 New York Exhibition House. With traditional materials utilized inside and out, the structure integrates seamlessly into the topography of the lot, rooting the house to the surrounding landscape. In 1977, Dr. William Wood and his wife, well-recogonized poet Renate Wood, purchased the property from the Sampson family. Dr. Wood recalled how his realtor was unsure of whether to show them the house, for fear its design might be too strange for their liking—but they both felt immediately at home. Dr. Wood has remarked that living in the home is like living inside a piece of art. That artistry may have had its effect on their sons, Oliver and Chris, who make up two of the three in Nashville’s Americana trio, The Wood Brothers. Local architect Kristin Lewis designed a rear addition in the 1990s, continuing the modern language of the house and increasing the natural light. The house was recognized by Historic Boulder in 1997, declared a structure of merit by the City of Boulder in 2014, featured in a panel discussion on compatible additions as part of the 2015 Landmarks Board Lecture Series, and landmarked by the City of Boulder in 2016. The thing is, instead of pontificating about general market analyses, our response should be, “Well, where do you live?” Then the conversation should drift into your home’s square footage, floor plan, finish level, lot size, and so on. Why? Because how the market's doing for you can be dramatically different than how the market's doing for others—even your next door neighbor. These assertions aren't derived from guesstimates or reading too many real estate journals; they're derived from real-life experiences. Our recent listing of the Sampson-Wood house is a prime example of a home where the market is doing very, very well. Not only were we able to generate multiple bids and ultimately go under contract for well over asking, the home thrived because of its architectural pedigree and cool factor. Plenty of neighboring houses with higher finish levels, solid floor plans, and great lots remain on the market for less than our asking price. Another example of a very good market with a different X-Factor was our Mountain Shadows listing, where we broke the record for highest sales price for a South Boulder attached dwelling. A home in South Boulder has two big draws: its location to prime hiking and running trails and a desirable school district. Many SoBo listings note these factors in their descriptions but they’re not X-Factors, because every SoBo home has them in common. While this Mountain Shadows townhouse didn’t undergo a complete studs-out renovation, strategic and calculated updates were made throughout. What our listing had was square footage. The sellers had remodeled the basement, adding a private suite with its own full bath, a brilliant addition because it played to the South Boulder base: buyers with kids seeking the school district. With other standard updates like paint and carpet, an instant ROI was created. On the surface, the updates are what made this home special—but it was truly the “strategic updates” that created the X-Factor. 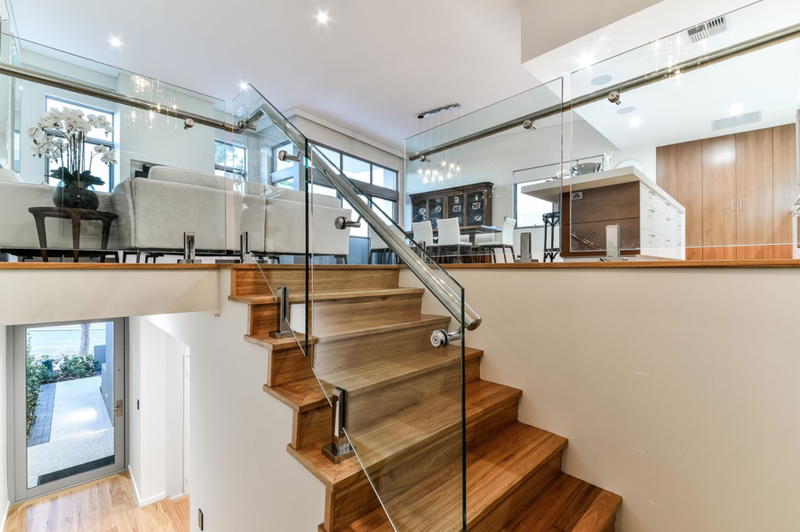 By selling this townhouse through its X-Factor story, we challenged the market and set a new bar with the sales price. When selling your home, it’s worth your time to suss out its X-Factor; you’ll sell not only the physical structure but its corresponding “story,” a marketing strategy that will likely lead to your biggest return. So next time you and I cross paths at a cocktail party and you ask, “How’s the market these days?”, know that my answer will be defined largely by your street address and how to pinpoint your home’s X-Factor. Throughout America’s suburbs, the oft-ridiculed McMansion has been an architectural mainstay for the past 40 or so years. With their sprawling square footage, mismatched architectural styles and vinyl-meets-foam construction, McMansions are quickly built, easily identified and regularly mocked. Within the past decade, there’s been a slow-yet-seismic shift in our suburban architectural trends. The McMansions have fallen out of fashion—perhaps, let’s face it, because they’re falling apart—and a new kid on the block has emerged: the McModern. Before you unfriend me, hear me out. While McMansions and McModerns share a few of the same traits—mass-produced design, streamlined construction, approachable asking price—they’re dissimilar in more respects; perhaps they’re derivative of the same genus, but they’re not the same species. Concentrated in bi-coastal liberal enclaves, tech hotbeds and millennial-centric cities (think NPR-listening, Warby Parker-wearing, Apple Watch-glancing multi-taskers), the architectural philosophy behind McModerns isn’t “more is better.” Unlike McMansions, which cherry-pick from an indulgent hodgepodge of architectural styles, McModerns borrow their style from a smaller pool: modernist architects of the early 20th century like Frank Lloyd Wright, Le Corbusier, Charles Eames, Philip Johnson and others. McModerns thrive on simplicity and minimalism, lacking the McMansion’s gaudy ornamentation and slapdash patterns, opting instead for simple, coplanar forms and smooth visual lines rooted in American Modernist style. The results? Ample natural light, an emphasis on horizontal and vertical lines and a clean aesthetic. It’s true, McModerns are not usually designed by individual architects like their luxury, high-brow counterparts—but it begs the question, “does it matter?” And therein lies the key differentiator between McMansions and McModerns: a McMansion is not a replica of a more expensive, more exclusive original; it’s a mishmash of styles and stands alone as its own architectural statement. McModerns, on the other hand, are inspired by a specific, established and celebrated genre of architecture, and offer the modern day family affordable access to an otherwise unaffordable style.